I have this picture on the home screen of my phone. 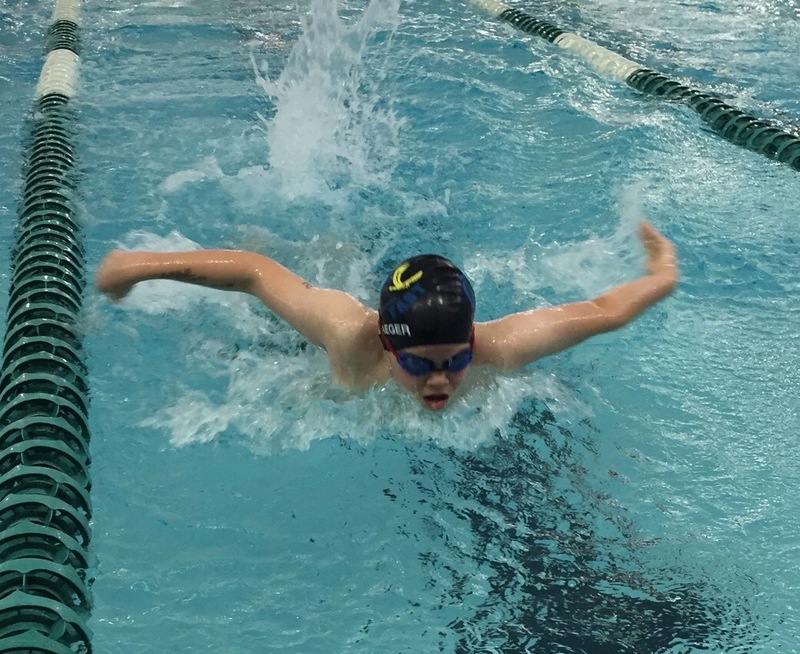 It’s a close up of Samuel swimming the butterfly. His face is what makes it so compelling. The determination evident there is spine tingling. It makes me think there’s something big that goes on when a human exerts himself in a way that aligns with his inherent role in the world. Samuel has a mantra he uses when he’s preparing to race. “I was made for this,” he says. There’s a term the Hindus use that describes perfectly Samuel’s idea of “made for this”. It’s called swadharma. Swadharma refers to a human’s inborn nature and attributes. It speaks of the “could be” in each of us. Have you ever done a thing and thought, God, I’ve never felt so alive. I’ve never felt more like me. That’s swadharma. I’m learning to come to grips with the fact that the alive feeling that comes when I’m dancing to the rhythms of swadharma, comes with the expense of a fair amount of hard work and loads of frustration. Samuel’s swim meets are usually early in the morning, and often they are far from home, so he has to rise well before the Sun makes an appearance. His nervousness over the impending event twists itself around his stomach like a python, and he always feels like he’s going to vomit. We pack a large bowl in the car, just in case. This is the frustrating half of swadharma. The payoff comes later. The payoff is something that falls beyond that mystical veil, making it impossible to describe, but it seems I cannot escape the compulsion to attempt these things anyway. Rob Bell refers to it as the “hum in your bones”, which is a nice way to put it, but I like Samuel’s even better. When you ask Samuel why he likes to swim, he struggles against that initial futility of words to describe his reasons. He speaks of the cheers from the stands and from his teammates. He may even mention the made for this mantra he uses sometimes. My favorite of his reasons is what he calls the rushing of the water. When he hears the rushing as he flies through the water, it all comes together for him––the miles of water traversed each week, the early mornings, the nervousness and the “just in case I vomit” bowls––it all becomes worth it when he hears the water rushing. My God, it’s beautiful, isn’t it? I could say more, but I think I hear the rushing water coming for me as well. And you? Do you hear it? I love shawarma. Nice post! Great post Luke! Samuel is wise beyond his years! Yes! Yes! And Yes!! I hear the water! For me it, it’s been happening more often as of lately. Love this post, love your son’s photograph, and I love your writing but that’s nothing new. 😉 Be well, Lucas! And happy Thanksgiving to you and your family! You’re so kind, dear, and SO inspiring. I’m glad we got to hear that water rushing together for some moments. Many blessings, and a Happy Thanksgiving to you as well.